Yes, I'm delighted to be back! Graham is having a well-deserved holiday this week. I'd like to thank him for his terrific work in writing these reports during my 3-month sabbatical. I've been an avid reader over the summer, and have occasionally submitted sections for inclusion in Graham's reports. On my first day back today, with legendary efficiency and organisational skills intact, I forgot to put up a placeholder article last night. Sorry about that. So here it is. I'll get to work on today's profit warning from Footasylum (LON:FOOT) next. Please feel free to add any comments below. This company is a specialist retailer of trainers, focused on young customers. It was floated at 164p per share, in Nov 2017 by GCA Altium (financial adviser & NOMAD), and Liberum Capital (broker). So far the shares have been a disaster - currently down 74% on the price at flotation. I imagine those that bought in the float must be feeling that they've been mugged. Checking back through our archive here, both Graham and I reviewed FOOT before it floated, here in Oct 2017, with us both having reservations, and wariness of new issues. Although I thought the historic growth looked good. Both Graham & I were worried about problems emerging after the float, as seems to happen quite often, sadly. Although I decided to have a bit of a punt on it, but my application at the float was scaled back to zero - a stroke of good luck as it turned out. Although there would have been a 46% profit to be banked for flippers, 2 months after the float. It was, at least initially, apparently a successful float. The share price then drifted down in the spring of 2018. The first bombshell occurred on 19 June 2018, with a nasty profit warning, which Graham reported on here. I'm reading that now, to refresh my memory. A dramatic deceleration in growth, and a cautious outlook, saw the share price halve on the day. Here we are today, with another profit warning, and the share price halving again. some meaty positions too, Coltrane holding 3.4% short . IQE (LON:IQE) has consistently been in the top 5 most shorted shares in the UK for some time. There's a broker note from Liberum on Research Tree. Can't see any LfL information. Liberum seem to have given up - TP and recommendation under review - now forecasting marginal EPS losses for 2019, 2020 and 2021. Interesting to see what Paul says but looks pretty unattractive to me at the moment. Welcome back Paul. It’s been good to have you drop in occasionally during your break. Any thoughts on WANdisco (LON:WAND) ? I can’t make out from the trading update whether I should be looking at the bookings figures (poor for a high growth company) or the mood music (good). Is the reduction in bookings just down to a move from licence sales to service sales through channels (IBM, Microsoft, etc.)? I don’t hold but might buy in if / when high growth is proven. Welcome back Paul! I'd be interested on your view on Gamma Communications (LON:GAMA) too please, results look very good, with the up-and-coming direct business doing very well with 30% growth. Altitude - ALT Altitude Group plc - Interesting Update - no comment on revenues - is it significant ? Altitude Group plc (AIM: ALT), the operator of a leading marketplace for personalised products, announces that it will publish its interim results for the six month period to 30 June 2018 ("Interim Results") on 25 September 2018. Further to the update in relationship to supplier agreements set out below, the Company will provide a full and detailed update on the positive progress being made in relation to both of the Group's white label ChannlPro platforms (AIMPro and Think Promo Now) at the time of the interim results. Following two recent significant new supplier agreements being entered into in August Altitude is pleased to confirm that agreements are now in place with a total of 65 suppliers including with 14 out of the 19 AIM preferred suppliers who are identified as being in the top 30 US Promotional Product suppliers*. All suppliers signed up have agreed to pay transaction fees on all orders derived from the platform. The recent suppliers agreements are with two of the largest promotional product suppliers in the US with estimated aggregate annual revenues of c.$1 billion. The addition of promotional product suppliers of this magnitude will help to ensure that the ChannlPro platforms have critical mass with regards to product offerings and will enhance the credibility of the platforms. The Group is in the process of fully integrating these important suppliers and their product data onto the platform and AIM members will be able to commence purchasing from these suppliers immediately. These AIM preferred suppliers already have a strong ordering base with the AIM buying group and will further increase the attractiveness of the AIMPro platform to the AIM membership and as well as future white label ChannlPro platforms. Altitude (LON:ALT) keeps putting out breathlessly excited RNSs about market size, potential, etc. However, I work on firm figures, and there's really not been anything concrete from the company yet on financial performance. Today's update is very much of the same ilk. A friend has done lots of forecasting on this share (and he's got a good track record with software companies - being very bullish on Sopheon (LON:SPE) for a couple of years, and having done very well on it). He reckons that ALT could be a massive winner. For me though, I need to see tangible evidence of commercial success coming through in the real numbers, which ALT has not demonstrated to date. Even if it means I have to pay more to get in here, then so be it. Good luck to holders, but it doesn't meet my criteria for a purchase just yet. Paul - Good to have you back for a week. Excellent commentary. When I have been away for a week I usually find I am very productive when I come back. We should all have more holiday! Tax Systems (LON:TAX) - on a technical point I wasn't sure why intangibles in a balance sheet makes it a poor balance sheet? Personally shouldn't they just be ignored? They have acquired intangibles and capitalise development expenditure to create intangibles too. I can't see what the breakdown on the balance sheet is between acquired and internally developed intangibles. The amortise acquired intangible assets over 10 years. I agree that the debt position isn't great. But they have been reducing debt despite being loss making in the P&L account. So that is impressive. With very high gross margins the business could become very profitable if they grow revenue a reasonable amount. Recurring income looks good and the client list is blue chip. Looks like a potentially interesting company to me. Valuation - Difficult to assess as it is all due to the success or otherwise of the product. But revenue growth should move into the bottom line. View on future who reported today. Superb, in-depth analysis of Footasylum (LON:FOOT) delivered extremely fast. I, along with most I suspect, have missed your reports which compliment Graham's style so well. If you have time I'd be interested in your thoughts on IQE (LON:IQE) given the FTAlphaville article today and the SP action - I don't hold at present but am intrigued about where it is going. I don't have any view on IQE (LON:IQE) currently. It dawned on me a while back that I didn't really know what I was doing re that share. Hence I've decided to chalk up my profitable trades on it some time ago as being more down to luck than judgement! I'm not planning on buying or shorting IQE at all in future. It's just too difficult to understand & value, in my opinion. The owner of investors.footasylum.com has configured their website improperly. To protect your information from being stolen, Firefox has not connected to this website. You wanna know what I think? l think that the insiders and their advisers knew all along that the foot thing was a ticking timebomb. But hey, who cares about the ethics of ripping people's faces off when there's a few quid to be made and/or it will save our arses? The fact that it couldn't even go a year without assploding pretty much resolves the issue as to whether I'm uncannily close to the truth or just a curmudgeonly, cynical git. Hi Paul, good to have you back. Hope you enjoyed your sabbatical. Actually Paul, re £BEEK again, I've just realised that the items are excluded because they are considered non-operating items for the purposes of calculating cash from operations. But it still would be helpful to see the differences itemised or reconciled when there is a big difference I think. I'm sure Julian, if you don't mind me putting my oar in, that any good news is already in the price and then some and looking at the data for WAND a price to sales ratio of nearly 30, reduced revenue, negative margin and negative eps say this isn't an investment. It's a typical story stock which has only been going up because it was going up. Cloud computing is a growth area for sure but how many customers are going to buy their method of security in preference to others. They are trying to apply their distributed computing algorithm as a panacea for cloud security but it would appear from results that the market isn't that impressed compared to other solutions. Like you I await growth to be proven. Re Footasylum (LON:FOOT). Great analysis, Paul. The balance is indeed weak. A 10-12 store roll-out this year + weak trading = liquidity might be 'squeaky bum time'. I am at a loss to understand why the Directors believed future growth could be sustained with only internally generated cashflow. Hmmm. They may know more but they'd do well to explain it more clearly. 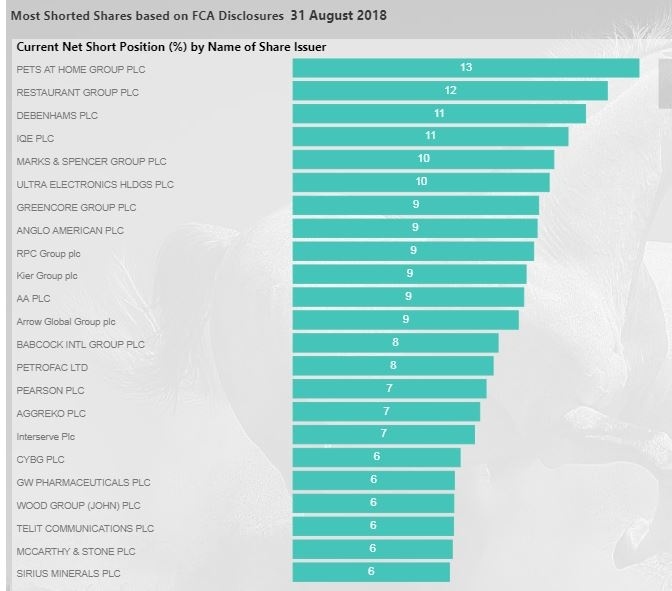 Moving on....the bull case, I guess, is that if an equity injection is required, the founding shareholder/s (still 63% owners, daughter now CEO) will do a rights issues rather than stitch-up the small guy (by going to an institutional at a big discount). I am not currently a holder, but at a price I might be. The top line ecommerce growth is pretty decent (vs Shoe Zone (LON:SHOE) at 'not much').